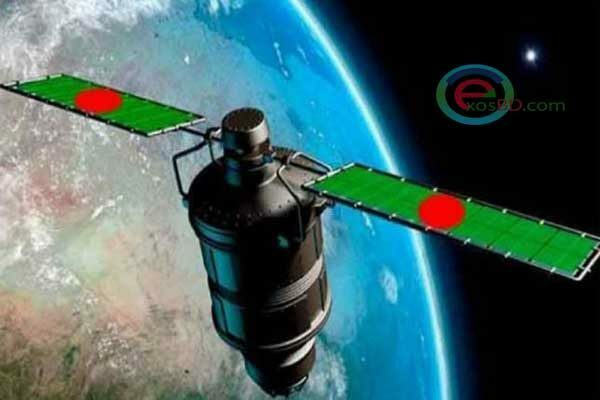 Bangabandhu Satellite is now in Space. The dream comes true Bangladesh is now in space. A satellite of Bangladesh will roam in the unknown world of space. Red-green Bangladesh has long been a dream for this since many days. Finally, that dream comes true. Bangladesh’s first satellite (artificial satellite) Bangabandhu-1 began its journey to space. Another colorful scarf of domestic achievement in canvas. Through the launch of Bangabandhu-1, Bangladesh is the owner of its own satellites as the 57th country in the world. 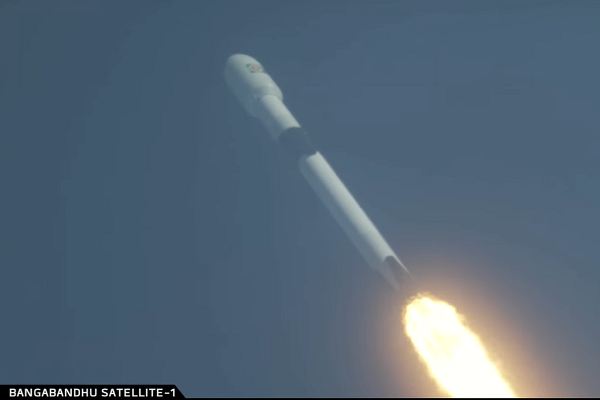 Satellite launching company SpaceX successfully threw Bangabandhu-1, the country’s first commercial satellite, to the orbit in US local time 4:14pm (Bangladesh time 2:14am). Through this launching Bangladesh will enter into a historic journey of elite satellite club and said people who are related with this process. 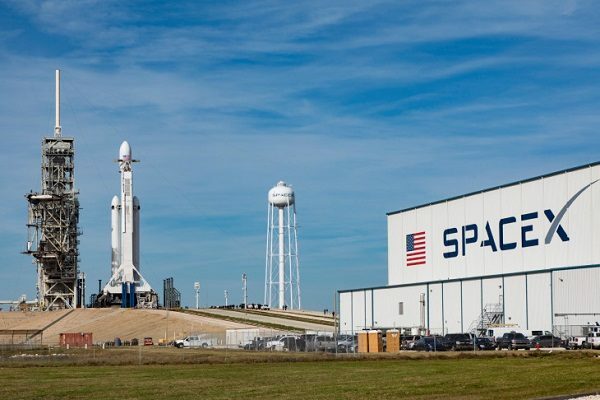 Bangabandhu-1 satellite was scheduled to be launched early Friday Bangladesh time but it was postponed as the Falcon-9 rocket of launching company SpaceX auto aborted following a minor error 58 seconds prior to lift off. 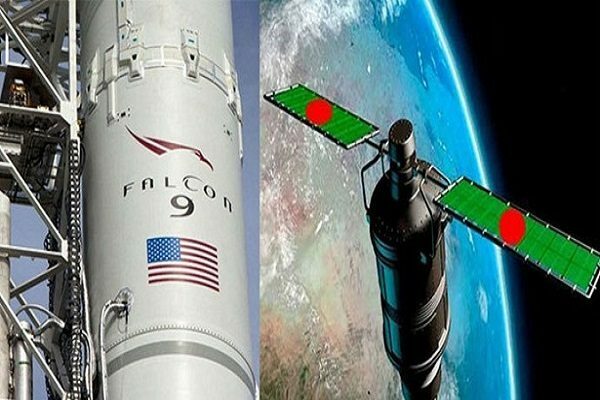 State Minister for ICT Zunaid Ahmed Palak, who is in Florida to witness the launch, said the satellite would be launched 36,000km up today with the newly-built Falcon-9 from Cape Canaveral, Florida. 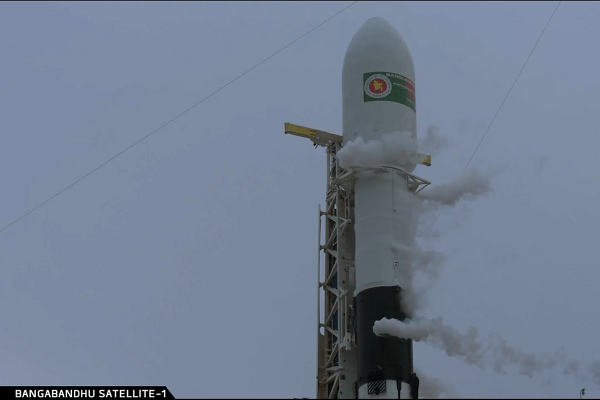 The launcher also kept a backup launch opportunity for tomorrow [BST] if the launch had to be cancelled again. Built by Thales Alenia Space Facilities in France, the satellite will provide Ku-band and C-band television and data services across Bangladesh in a mission valued at some $280 million, including the cost of the Falcon 9. The satellite contains 40 transponders; Bangladesh will use 20 and rent out the rest. Once operational at 119.1°E longitude orbit, the satellite will provide three types of services: broadcasting, telecommunications and data communications. Television and radio stations use the broadcasting services delivered directly to their audiences and viewers. Internet service providers along with mobile and land phone operators will also be able to use the satellite. 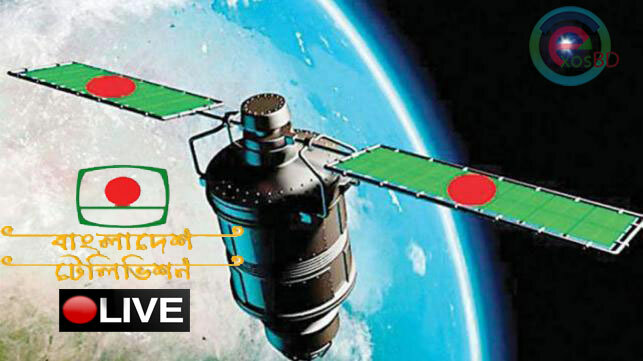 The satellite is expected to save Bangladesh Tk 14 million a year that the country is currently spending on renting foreign satellites. The government is also expecting to earn Tk 2.5 to 3 billion annually from the satellite and start making profit in six to seven years’ time. The profit, however, seems not be the main purpose to be served by the satellite. People were allowed to watch the launch from two visitor complexes—Apollo/ Saturn V centre which is 3.9 miles away from the launch pad, and the main visitor complex which is seven miles away from it. State Minister for Information Tarana Halim is leading a 30-strong team that flew to Florida to witness the launch. Prime Minister Sheikh Hasina’s ICT Affairs Adviser Sajeeb Wazed Joy and Bangladesh Telecommunication Regulatory Commission Chairman Shahjahan Mahmood were also on the team.